Red Velvet's Irene is the female CF star in terms of brand value for April. 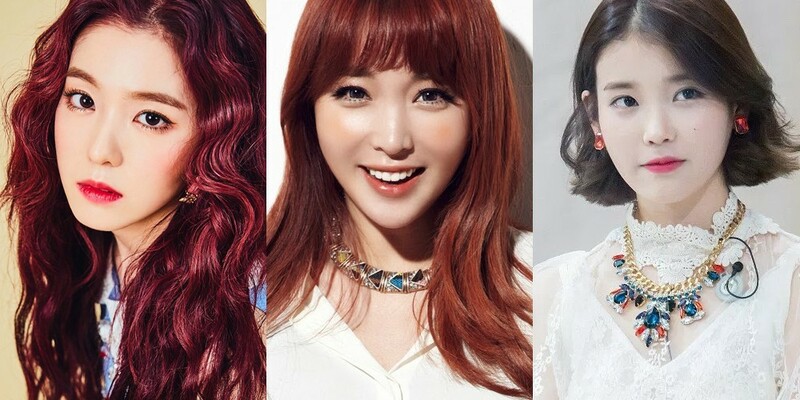 According to the Korea Institute of Corporate Reputation, Irene was at the top of the April data, followed by Hong Jin Young and IU. 10,488,452 pieces of data were examined from March 27th to April 28th. Irene had a total of 945,757, while Hong Jin Young had 721,233 and IU had 637,392. The rest of the women ranked were, in order, Park Bo Young, Kim Yuna, Seol In Ah, Seolhyun (AOA), YoonA (Girls' Generation), Na-Eun (A Pink), Han Hye Jin, Taeyeon (Girls' Generation), Han Ga In, Ha Ji Won, Son Ye Jin, Lee Soo Min, Han Chae Ah, Hyeri (Girl's Day), Kim Tae Hee, Kim So Hee, Park Na Rae, Bae Yoon Kyung, Jung Yoo Mi, Jun Ji Hyun, Yoon Mi Rae, Jane, Kang Han Na, Kyung Li (Nine Muses), Go Won Hee, Suzy, and Kang So Ra.